Dr. Anadi Pande is a Professor of Strategic Management at IIM Lucknow where he has taught in three time periods as a full time faculty. These being December 2000 to March 2006; August 2014 to October 2015; and November 2016 to present. He is a unique amalgam of academics and industry. He worked with Tata Motors Ltd. for sixteen years and was identified for leadership positions through a fast track scheme of the company. He was Head of Project Engineering at TML’s Lucknow plant during its formation and later was Head of Vehicle Assembly factor. He worked for Hero Honda motors for eight years as part of leadership team as Head of Corporate Planning and Corporate HR. He built alliances for the group; leading separation negotiations to give strategic freedom to Hero Honda (separation of JV). He was also Head – HR and Project Head for the world’s largest two wheeler factory at Haridwar. He has deep IR experience. In 2014 he moved to Larsen & Toubro, Mumbai, where he was Head – Corporate Strategy/Initiatives, reporting to Chairman. 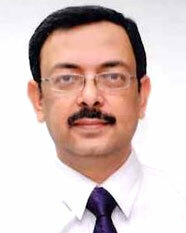 Later he joined Hero Cycles Ltd as Director, Corporate Strategy and Corporate HR, reporting to CMD. Here he joined the Board of Directors of a British Subsidiary, Avocet Sports, Manchester. He writes and uses cases for pedagogy and has published in ACRJ. 10th – 1977 (Distinction in Sciences and Maths), First Div. 12th – 1979 (Distinction in Physics, Chemistry, Maths and English), First Div. B.Tech. in Mech. Eng. IIT-BHU, 1979-1984. Awarded Honours for excellent academic performance. Diploma in Business Management, University of Poona, 1986-1988. First Div. Ph.D, ‘Technology Strategy of Indian Firms: A Study from Learning Organization Perspective’, Lucknow University, 2004.